Warmbier was held in brutal conditions for a year and a half, the suit says, then slipped into a coma and died. 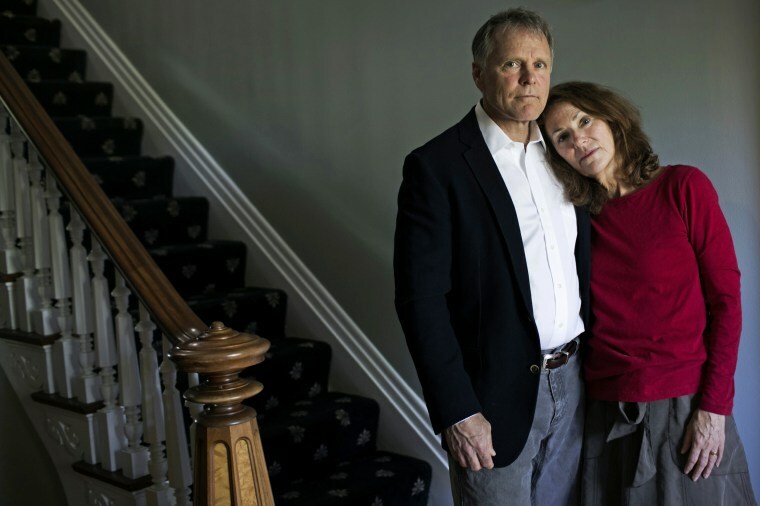 WASHINGTON — The parents of Otto Warmbier, the college student who died after he was tortured in a North Korean labor camp, filed a lawsuit in U.S. federal court Thursday alleging that North Korea violated international law by killing their son. Warmbier, a 22-year-old University of Virginia student from Ohio, was forced to confess to an "act of subversion on behalf of the United States government," the lawsuit said, and was subsequently held in brutal conditions for a year and a half until he was returned to his parents in a coma. Warmbier died soon after he returned to the U.S. The lawsuit, filed in the U.S. District Court for the District of Columbia, could have large implications for U.S. diplomatic efforts as President Donald Trump prepares to negotiate with North Korean leader Kim Jong Un in the hopes of denuclearizing the hostile country. Newly confirmed Secretary of State Mike Pompeo met Kim Jong Un in Brussels on Thursday. White House Press Secretary Sarah Sanders distributed pictures from the meeting. The White House was aware the lawsuit would be filed today and did nothing to discourage the Warmbiers from bringing it, according to a source familiar with the case. North Korea was recently designated a state sponsor of terrorism by the U.S., which exposes the country to civil claims like the one filed by the Warmbiers. In the complaint, Fred and Cindy Warmbier said when they finally saw their son again he was "blind and deaf. He had a shaved head, a feeding tube coming out of his nose, was jerking violently and howling, and was completely unresponsive to [any] efforts to comfort him." In a statement, Fred Warmbier said his son had been taken hostage and kept as a prisoner "for political purposes." "[He was] singled out for exceptionally harsh and brutal treatment by Kim Jong Un," said Warmbier. Kim and his regime have portrayed themselves as innocent, while they intentionally destroyed our son's life. This lawsuit is another step in holding North Korea accountable for its barbaric treatment of Otto and our family." The Warmbiers are being represented by Richard Cullen, a Richmond, Virginia-based attorney also representing Vice President Mike Pence in the collusion probe led by special counsel Robert Mueller. Otto Warmbier traveled to North Korea with a Chinese tour group before his planned semester abroad in Hong Kong. On Jan. 2, 2016, before he could leave the country, he was stopped by North Korean security and accused of stealing government propaganda for sneaking a poster out of his hotel. A North Korean court sentenced him to 15 years of hard labor. His parents were notified a year later that he had been in a coma for a year. After he was returned home in June 2017, exhibiting signs of trauma and torture, U.S. doctors concluded that his brain was irrevocably damaged. He died in a Cincinnati hospital on June 19. Trump invited the Warmbiers to his State of the Union Address earlier this year and told the heart-wrenching story of their son's death. Recently, however, as the prospects for negotiations over North Korea's nuclear program have brightened, Trump has called Kim Jong Un "honorable." On Wednesday, Trump told reporters in the Oval Office that the U.S. would be having a meeting with the North Korean leader very soon. "He really has been very open and, I think, very honorable, from everything we're seeing," Trump said.